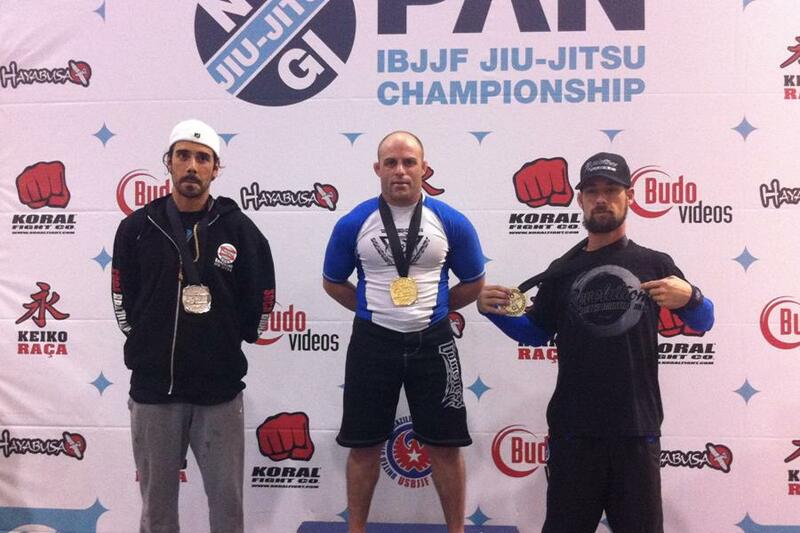 Indiana Brazilian Jiu-Jitsu Academy students bring home Pan-Am Golds! October 1st, 2011 the International Brazilian Jiu-Jitsu Federation (IBJJF) held their No-Gi Pan Championships (formerly known as Pan-Ams), in New York City. Some of the Best grapplers from all over the World came to display their grappling prowess. The day started off with some amazing matches and didn’t slow down. Hour after hour the grappling became more technical and more exciting as the mats ran from Blue Belt up to Black Belts. Some of the standout competitors were World Champion Brazilians Caio Terra, Lucas Lepri and Kayron Gracie. Indiana had several grapplers representing our state. Aaron Johnson who won his division, defeating Timothy Almeida in the final. Aaron is the Head Wrestling Coach at the Indiana Brazilian Jiu-Jitsu Academy (Fight Hub HeadQuarters). 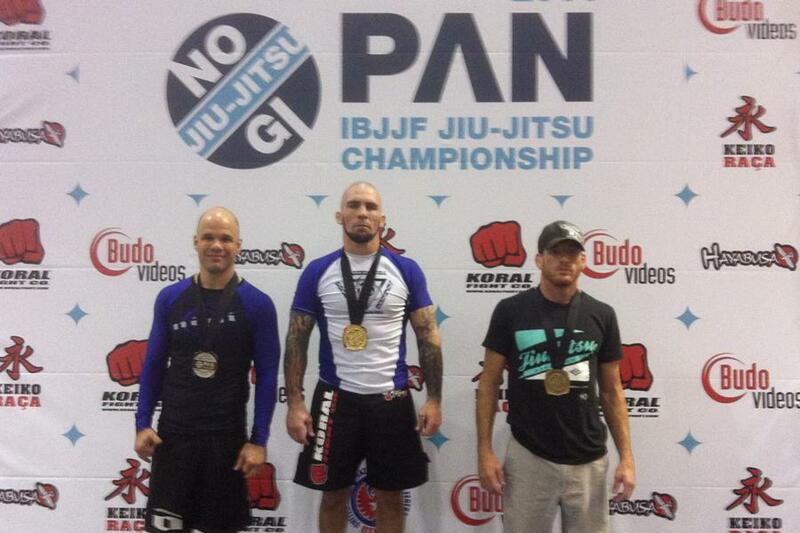 Joel Blanton who trains primarily at Impact Zone BJJ/MMA in Lafayette, IN, also won his division! Joel’s first match was a very difficult one, facing a friend and former teammate. Joel was able to e thovercome mental burden of facing a former teammate his first match and go on to completely dominate the division. Mick Williams of Vortex Martial Arts in Bloomington, IN had a completely dominant performance, not giving any of his opponents a chance until being stopped in the final match. Mick brought home a 2nd Place Medal! 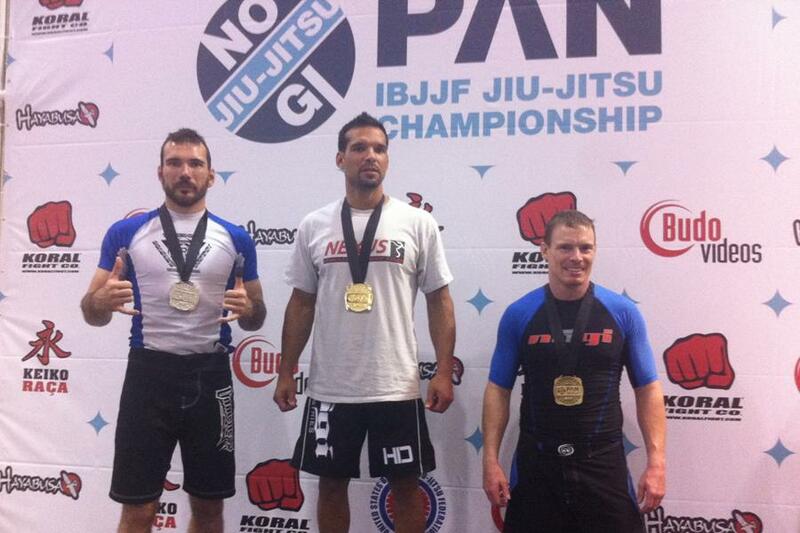 One thing these 3 grapplers have in common is that they are the ONLY GRAPPLERS FROM INDIANA to bring home Pan AM Medals, from the 2011 No-Gi Pan Ams. Another common factor is that they are ALL 3 members of Team James Clingerman. While Aaron Johnson trains daily at Indiana Brazilian Jiu-Jitsu Academy, Joel (from Lafayette) and Mick (from Bloomington) both travel over 1 hour to train with Master Coach James Clingerman. Congratulations to all of the competitors who brought home victories at this year’s tournament. If you would like to try the same training program that these Indiana Grapplers used to bring back Medals from one of the most prestigious tournaments in the World, check out our FREE 30 DAY trial. 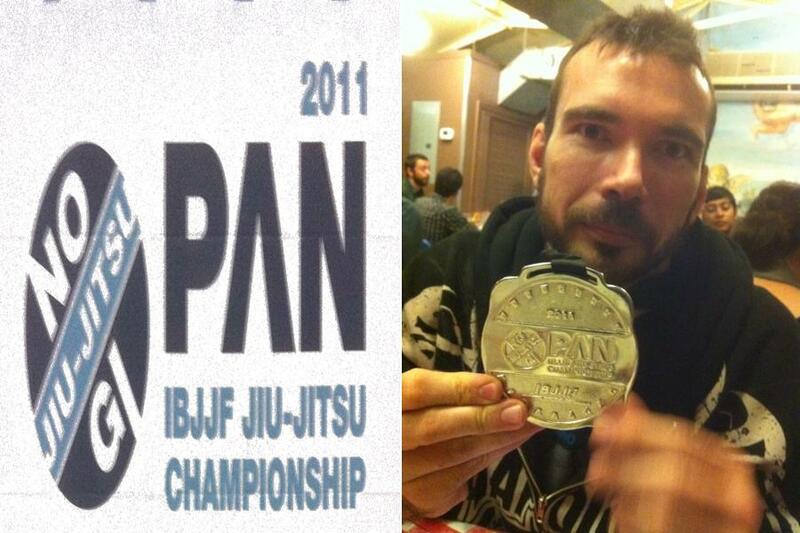 Come on in and train with THE ONLY INDIANA TEAM TO PLACE at No-Gi Pan-Ams in 2011! Try us out for 30 days FREE and we’ll give you several Amazing Bonuses!